Media and Contents: 49 plastic parts. 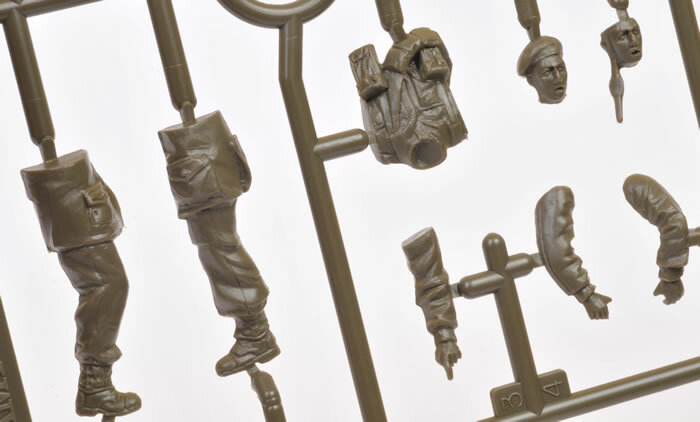 Advantages: Good level of detail; includes two figures; ideal for standalone scene or a larger diorama. 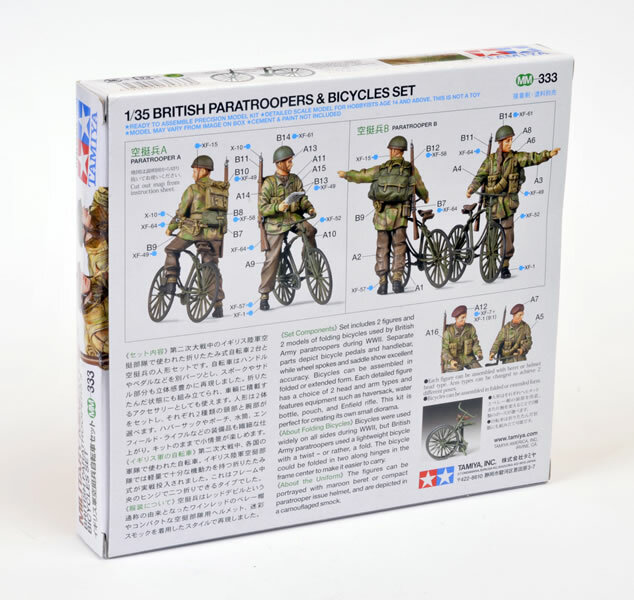 British paratroopers of the Second World War had a number of transport options, but the most portable and flexible – quite literally – would have to be the BSA Paratrooper's Folding Airborne Bicycle, sometimes called the Parabike. This was a lightweight bicycle designed to fold with the turn of two wing nuts. The Parabike could be dropped along with the paratrooper, who would simply hang on to the folded bike during their drop. More than 60,000 Parabikes were manufactured during the Second World War. 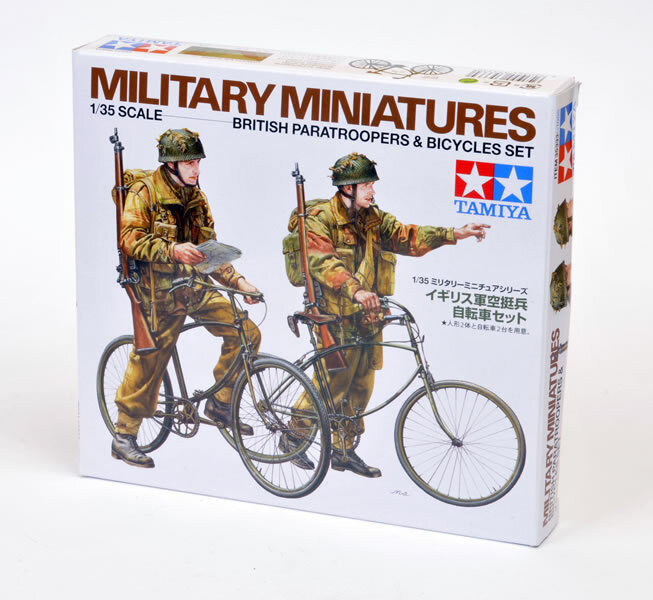 Tamiya expands its British model and figure range with this new 1:35 scale British Paratrooper & Bicycles Set. 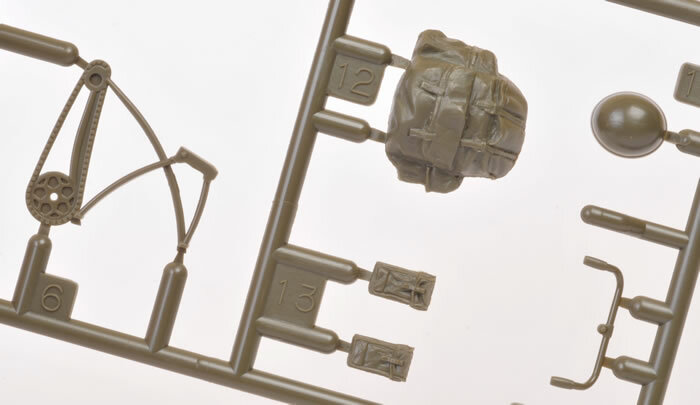 The set comprises 49 injection-moulded parts in dark olive coloured plastic. Two complete bicycles and figures are included. The bicycles may be assembled either deployed or folded. If folded, two simple cuts must be made midway along the full-stretch frame. The handles are separate so these may be glued in either position, depending on which option you choose. 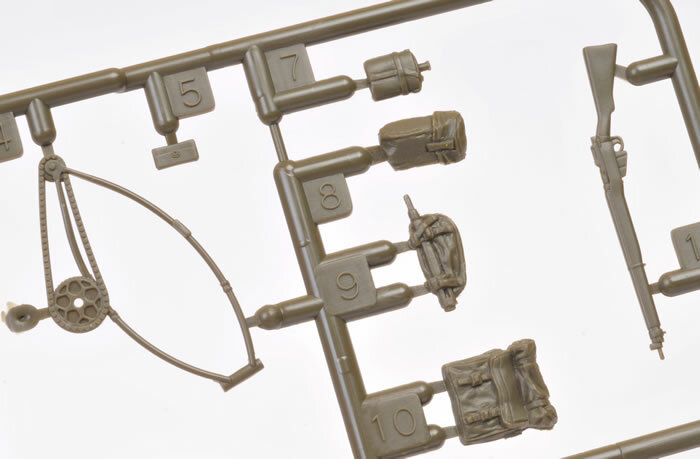 The bikes are extremely simple, being made up from only seven parts each. Detail is generally delicate with the exception of the wheel spokes, which are extremely heavy. I am sure that someone will offer photo-etched replacements for these soon. The figures look quite good, with natural poses. 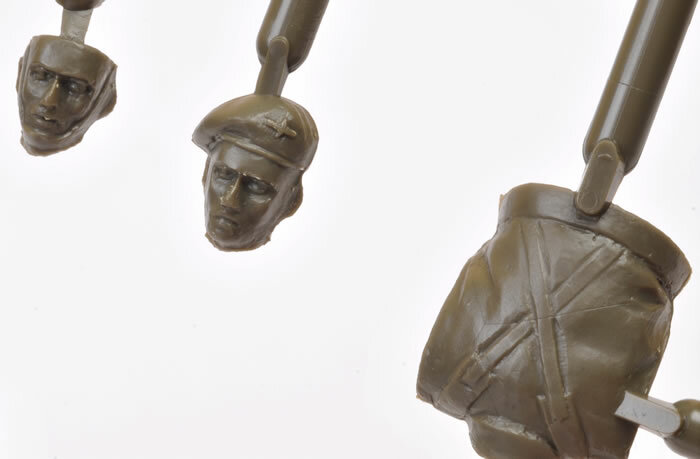 Each has alternative heads – one with the beret and another with a helmet, although I am sure that some will prefer to replace the Tamiya heads with after market items from companies such as Hornet or Alpine. 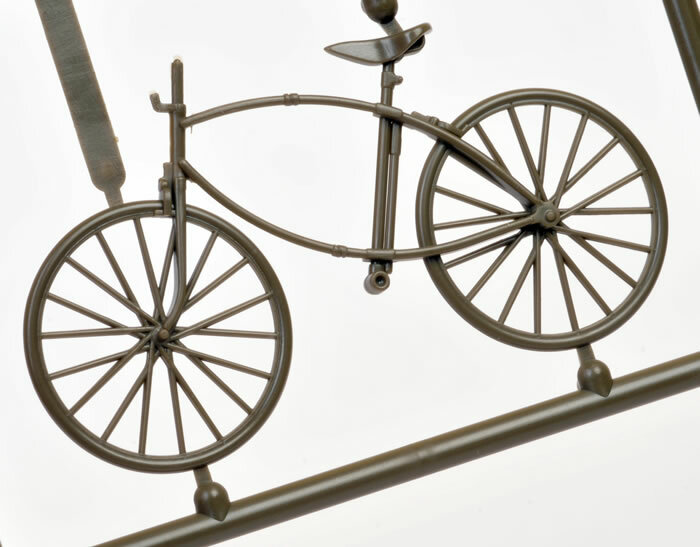 One figure sits astride his bike while the other is standing alongside his, holding the handlebar. Alternative arms are also offered for both figures. Nice touch. Various packs and two rifles round out the package. Instructions for assembling the bicycles are provided on a small piece of paper, while part numbers and colours for the figures are called out in four full-colour photos on the back of the box. This is a nice little vignette-in-a-box, or it will also be an interesting accompaniment to a vehicle or a larger diorama.